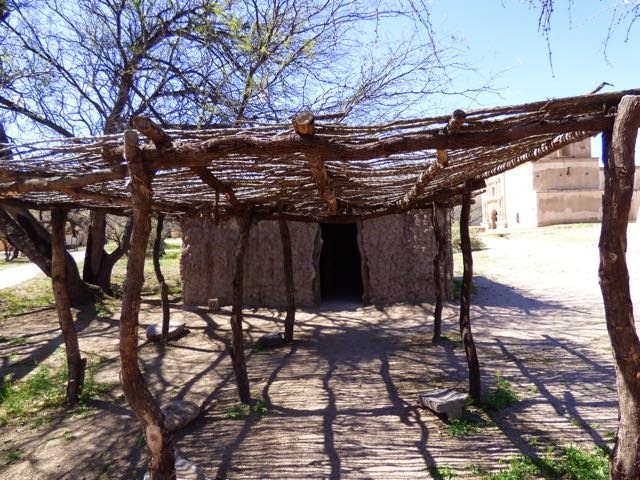 Today we visited 2 Missions and 1 Presidio south of Tucson. 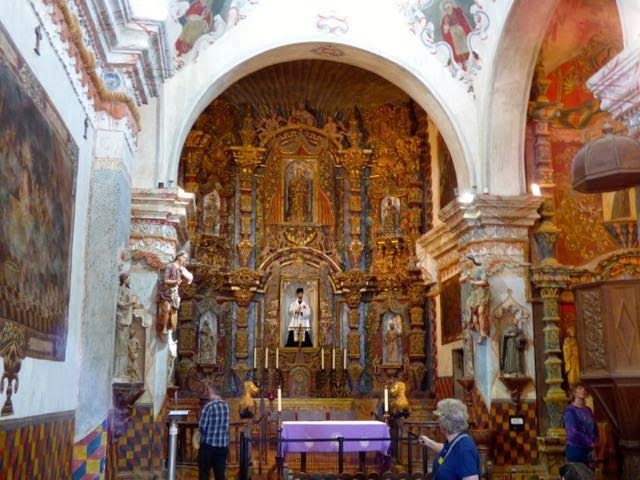 Mission San Xavier del Bac just off 19 south was our first stop. 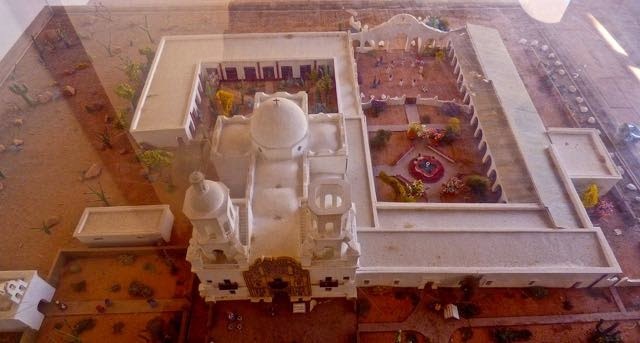 Construction of the Mission began in 1783 with completion in 1797. 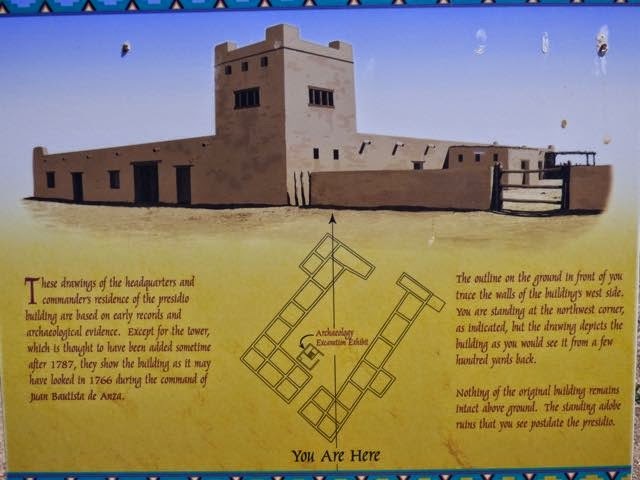 In 1821 Mexico gained independence from Spain and in 1854 The Gadsden Purchase put the Mission inside the US. 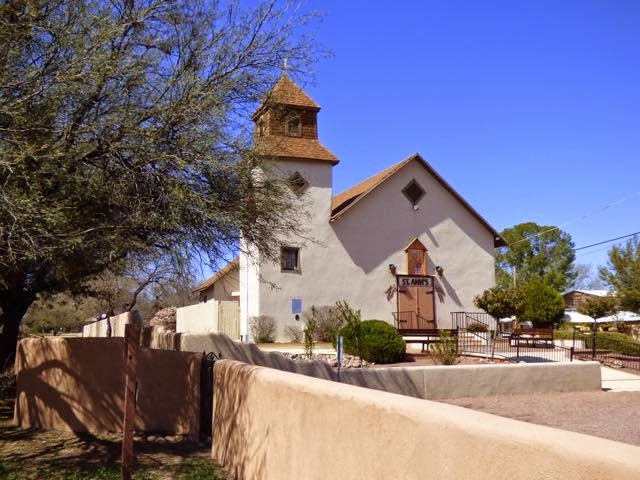 The church is still an active part of the community and holds regular services. 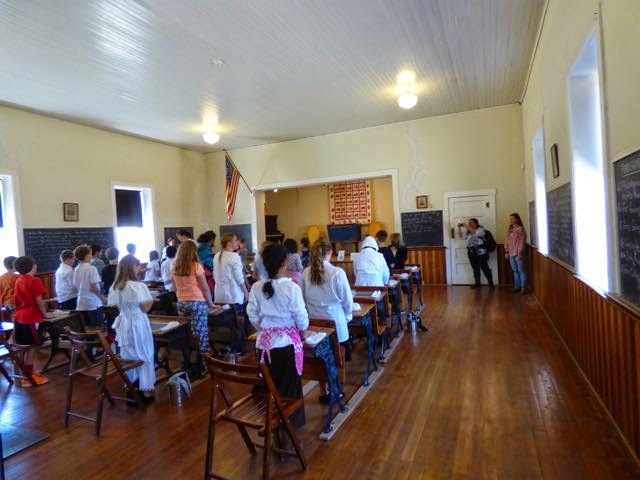 The Franciscan Sisters of Charity continue a tradition of educating local students that date back to 1873. 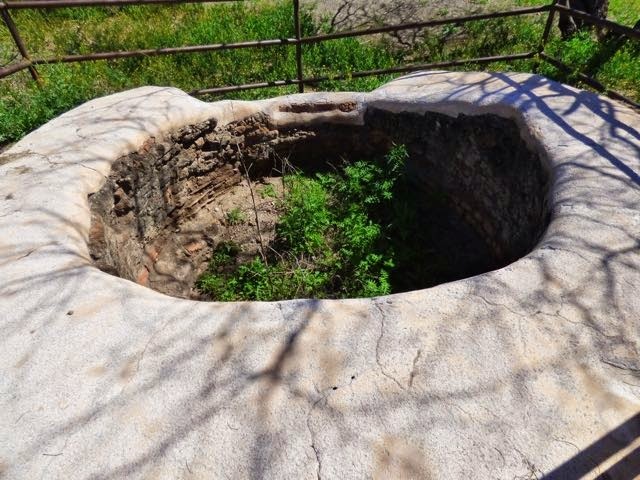 Funds ran out in 1797 and the East Tower was never completed. 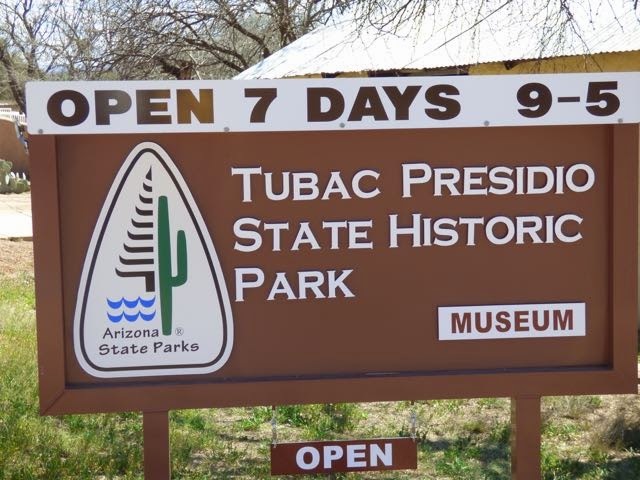 Our next stop on Hwy 19 was Tubac and a visit to the Tubac Presidio. 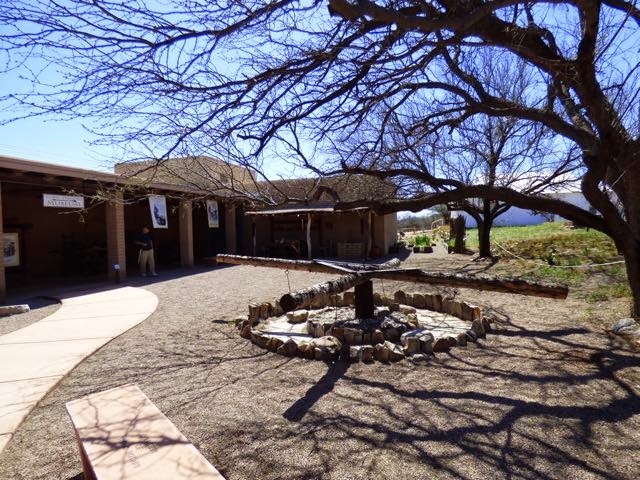 Tubac is primarily an artisan community featuring many types of sculpture,paintings, clothing and restaurants located in Santa Cruz River Valley. 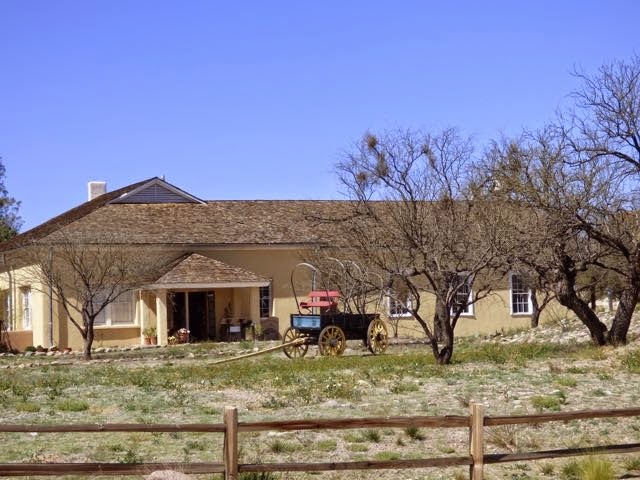 Lodging available includes a full service hotel and intimate B&B's. 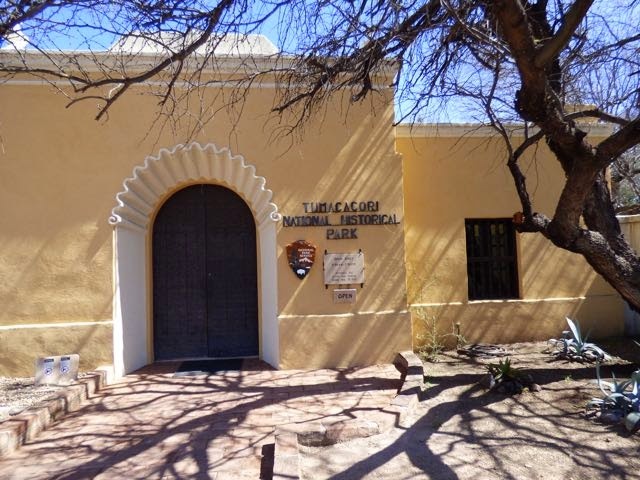 Tubac Presidio was established in 1752 and the first European settlement in what would become the state of Arizona and also Arizona's first state park. 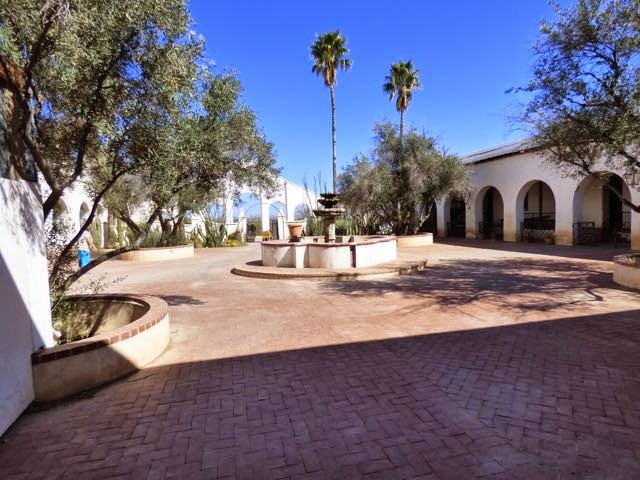 The grounds feature a museum, gift shop,territorial schoolhouse built in 1885,church and underground Archaeological exhibit. 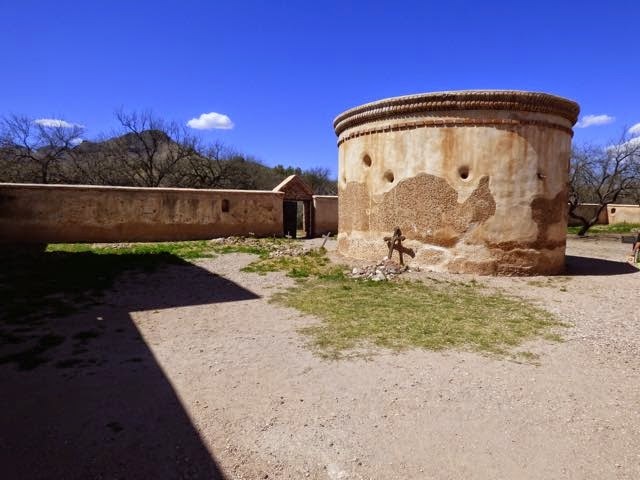 The Presidio was established after a major revolt in 1751 which destroyed the small settlement of Tubac and subsequent surrender by the Pima chief. 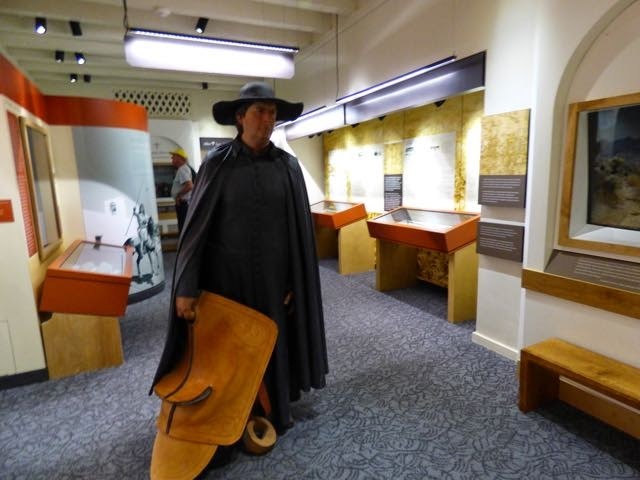 Fifty cavalrymen were garrisoned here to prevent further rebellion and to protect the colonists the Mission. 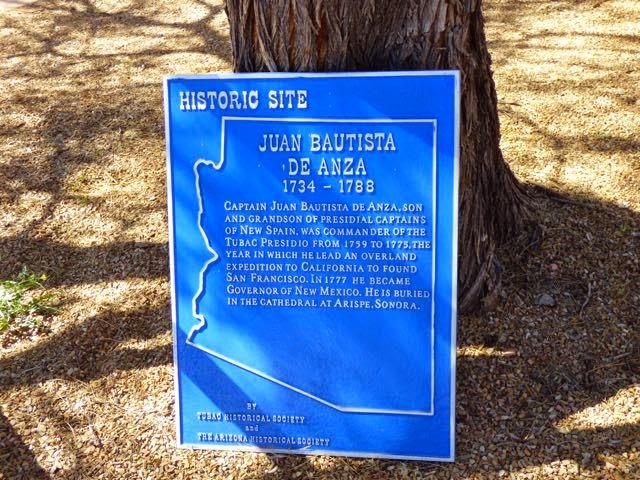 Juan Bautista de Anza II, second commander of the Presidio, let two overland expeditions to the Pacific resulting in the founding of San Francisco in 1776. When he returned the garrison was moved to Tucson. 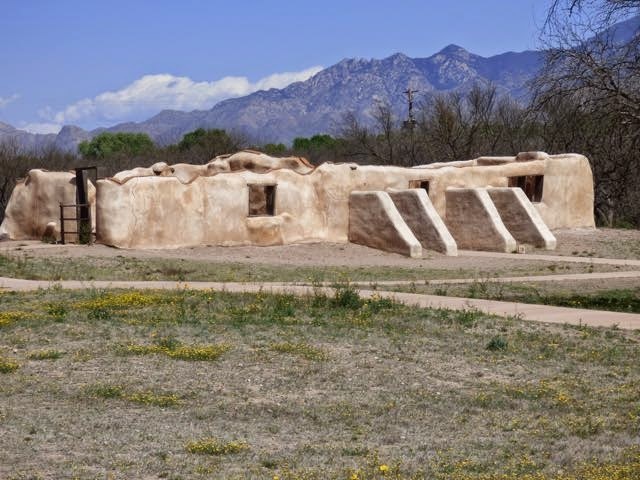 The Presidio was reactivated in 1787 with Pima and Spanish troops. 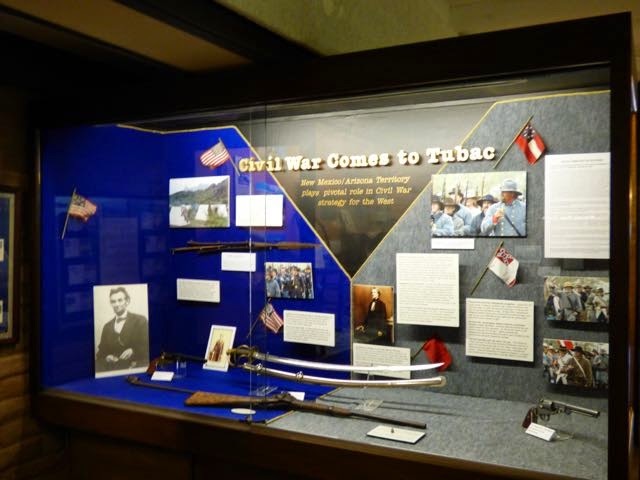 Mexico's flag flew over Tubac until 1848 when Tubac became a ghost town after a fierce Apache assault. After The Gadsden Purchase,the town began to flourish. 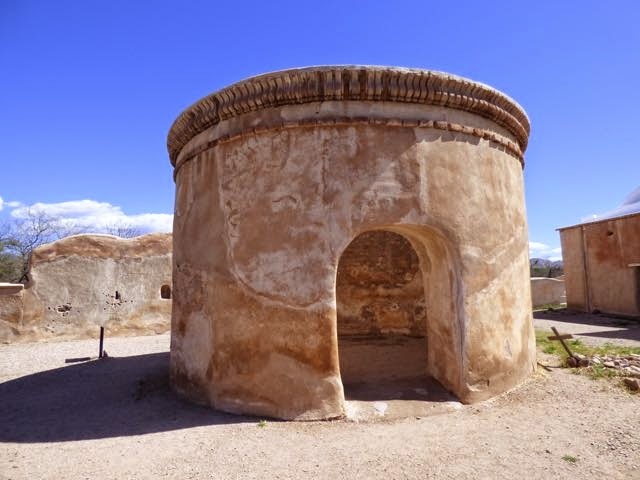 Mission Tumacacori was founded in 1691 by Jesuit Father Eusebio Francisco Kino as a mission for the Pimas. 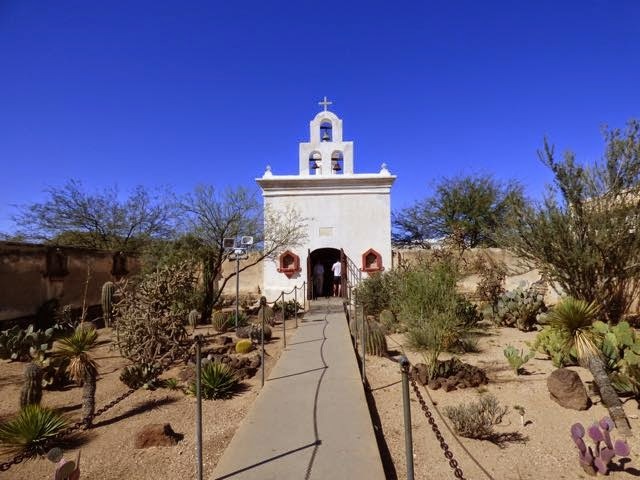 After the O'odham rebellion of 1751 the mission was abandoned and reestablished in 1753 with construction of the church. 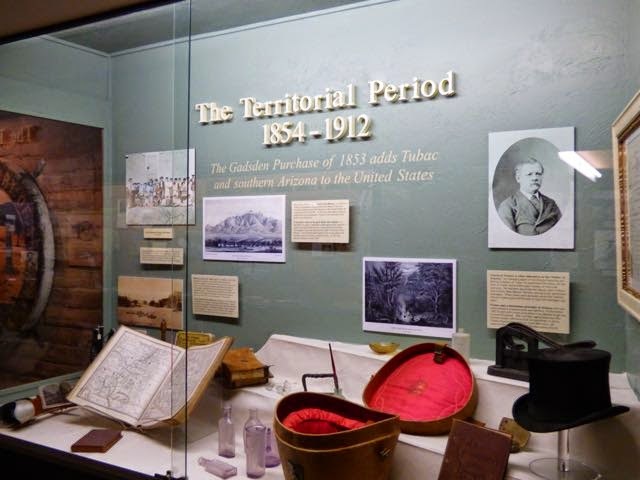 In 1854 it became a part of the US Arizona Territory after The Gadsden Purchase. 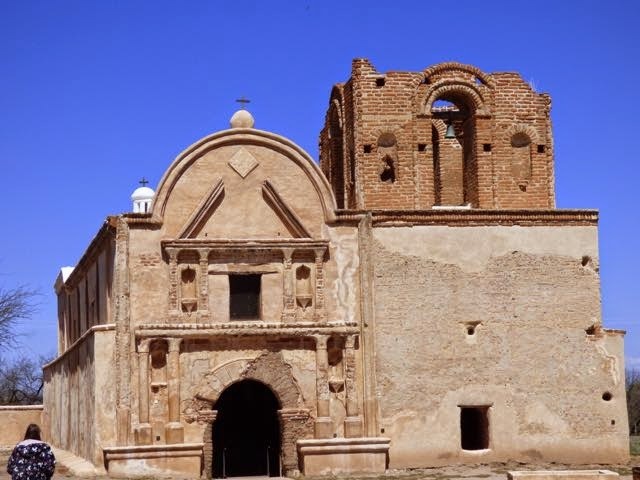 Remains of the Church,Convento,Storehouse and Cemetery are on the walking trail. 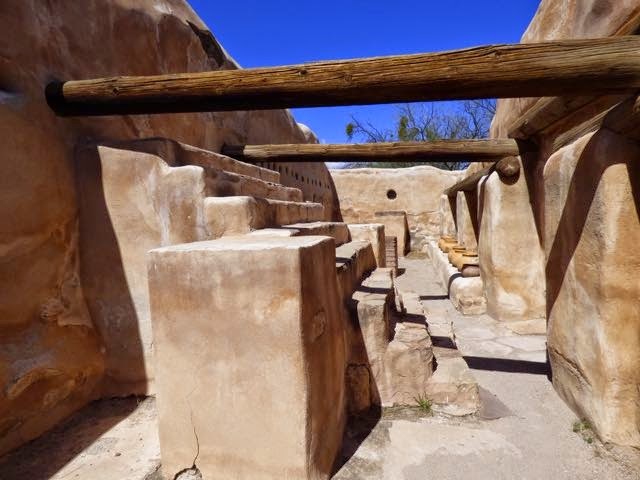 The ruins represent a time of change for the people including Native Americans and Europeans who intermingled their ways of life. 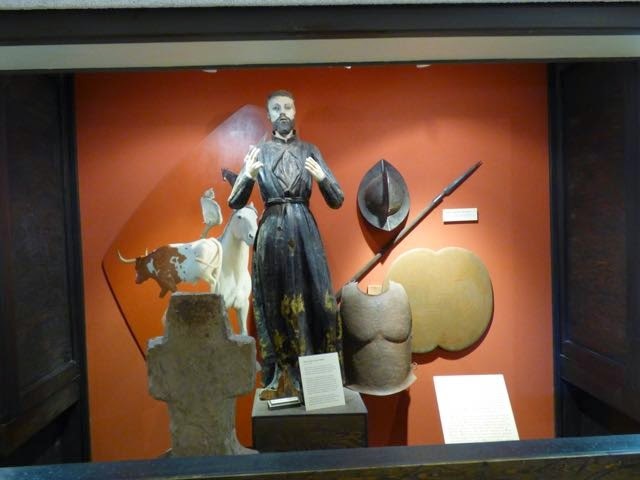 The Mission converted many native peoples to Christianity and the Spanish way of life. The present church was built on this site in between 1800 and 1822. 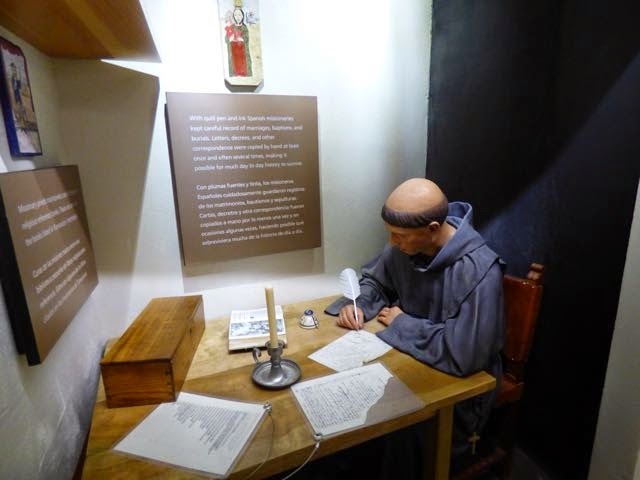 The Natives and Europeans lived peacefully and are represented in the pages of the historic record books of baptisms, marriages and deaths.